Well this is fun. 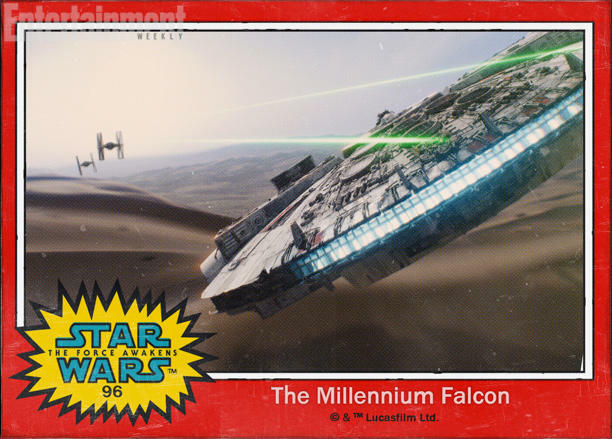 Disney on Thursday unveiled a handful of trading card-type pictures for Star Wars: The Force Awakens, revealing names for some of the film’s new characters. We don’t get to see everyone, and that cloaked Sith is still as mysterious as ever. But at least we have a name, along with confirmation of a few earlier suspicions. 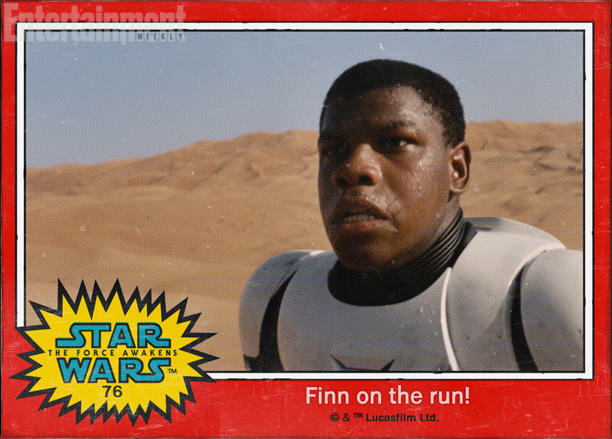 John Boyega, who is the first person we see in The Force Awakens teaser, is playing a character named Finn, and he is in fact on the run. It’s unclear how Finn will fit into the universe, though the leading rumor at the moment claims he’s a defector of the Empire, and is being hunted (hence why we find him panicked in the desert). This is all unconfirmed, of course, but it certainly sounds like a believable theory. 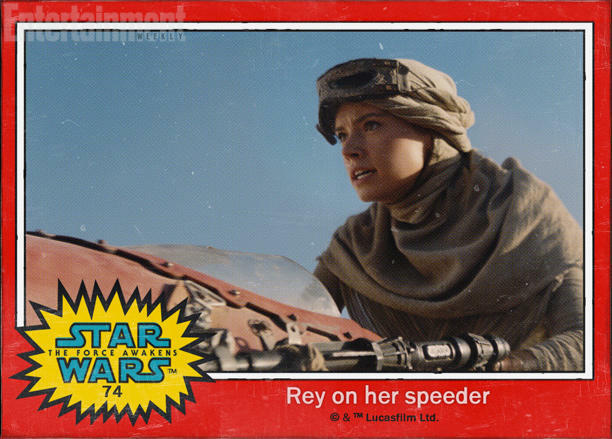 Daisey Ridley is Rey—her card says her character is merely on a speeder, so it’s unclear what she’s actually doing in the scene showed off in the teaser. 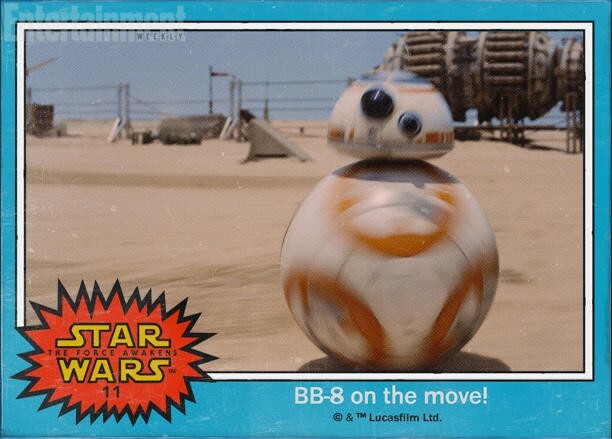 That spherical droid, meanwhile, is known as BB-8, while the cloaked figure, who looks like he’s in a fighting stance, is known as Kylo Ren. We still don’t know who’s playing Ren, though we’ve heard all along that Adam Driver will assume the villain role. 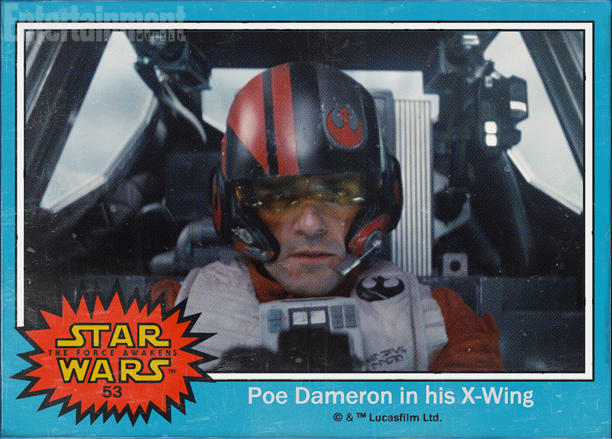 The name of Oscar Isaac’s character is Poe Dameron. 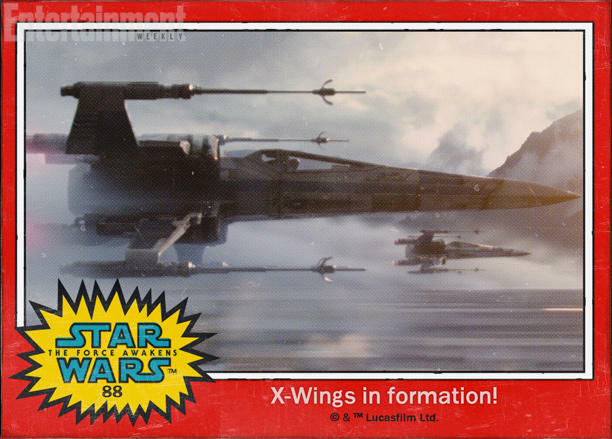 Stormtroopers are still Stormtroopers, while the X-Wing and Millennium Falcon names are still in tact (as expected). 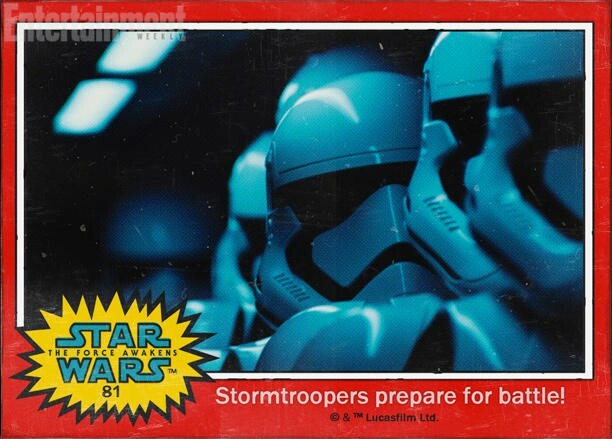 Other than the names, the trading cards don’t reveal much. We still haven’t seen Lupita Nyong’o, Gwendoline Christie, Adam Driver, Domgnall Gleeson or Max von Sydow; returning actors include Mark Hamill, Harrison Ford, Carrie Fisher, Anthony Daniels, Peter Mayhew, Kenny Baker and Warwick Davis. 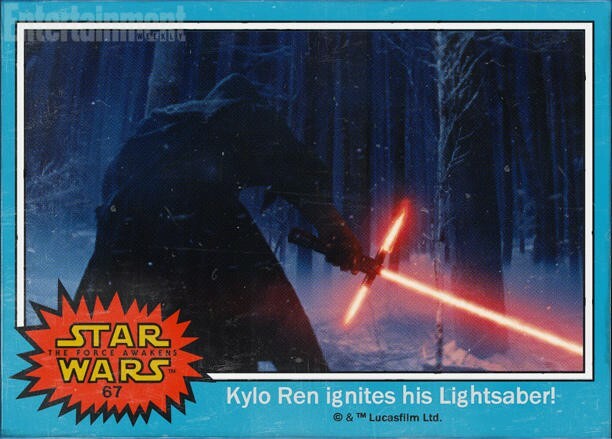 Of note is that the last name’s of Finn and Rey aren’t yet revealed. That may or may not mean something—we’ll have to wait and see. We’re not expecting to see any new Star Wars trailers for awhile, but hopefully Disney will take mercy on us by releasing cool little bits of information like this over the coming months.